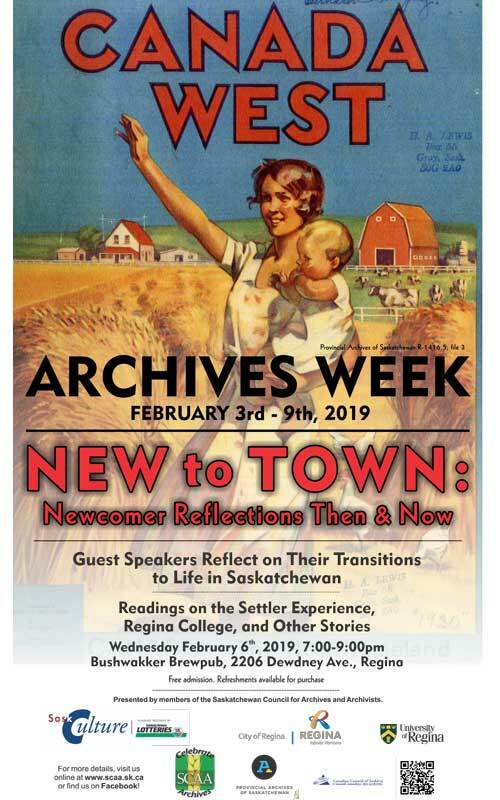 University of Regina Archives, in partnership with the Provincial Archives of Saskatchewan and the Saskatchewan Council for Archives & Archivists presents "New to Town: Newcomer Reflections Then & Now". Enjoy readings on the newcomer experience and Regina College days from archives, as well as guest reflections on the transition to life in Saskatchewan. Guest speakers include the U of R's own Livia Castellanos. Wednesday, February 6 at 7:00 pm, Bushwakker Brewpub, 2206 Dewdney Ave.